Accents are distinctive ways of pronouncing a language, especially one associated with a particular country, area, or social class. For instance, the Americans and British both speak English, yet when they speak they sound completely different. This is mainly due to the fact that they tend to have different accents. Furthermore, there is a wide variety of accents within both the US and UK. A person living in Texas and a person living in New York are both Americans but have different accents. The same goes for British accents in London or Glasgow. Further, in some examples, individuals that learn a second language often learn to speak the second language using an accent associated with a primary language. For example, individuals that reside in Germany and primarily speak German often learn to speak English with a German accent. In many cases, even when individuals speak the same language, they have difficulty understanding one another because of their different accents. Amazon has invented interesting technology to perform accent translation. 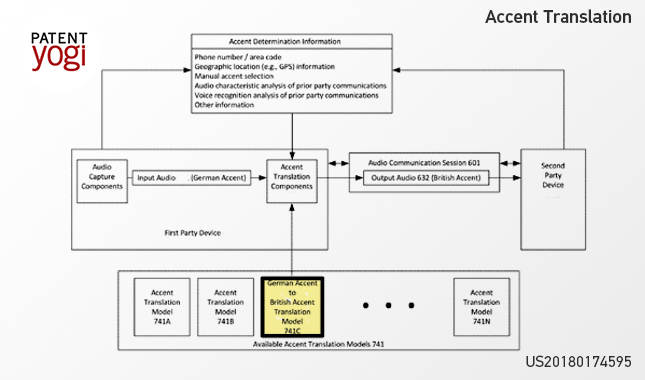 As per the patent publication, Amazon’s accent translator translates an audio signal from one accent to another accent. For instance, a first user and a second user with different accents participate in a phone call conversation. The accent translator takes an audio signal from the first user and sends it to a sample sorter. The sample sorter sorts the audio signal associated with the first user to determine an accent of the first user. The sample sorter uses the first user’s location in order to determine their country or region. For instance, if location of the first user is found to be Berlin, then the sample sorter assigns German accent to the first user. Further, the sample sorter also uses a voice recognition system in order to determine the accent of the first user. The voice recognition system analyzes each and every word spoken by the first user. The sample sorter then assigns an accent for the first user based on words analyzed by the voice recognition system. For instance, the sample sorter would assign a German accent for the audio signal in which various German cities are mentioned. Once the audio signal associated with the first user is assigned an accent by using the sample sorter, the audio signal is then converted to a secondary audio signal of desired accent through a translator module. The translator module changes the frequency and amplitude of the audio signal in order to convert it into the secondary audio signal. For instance, a first accent tends to stress the beginning of each word, while a required accent tends to stress the end of each word. In such case, the translator module may reduce amplitudes at the beginning of each word and may increase amplitudes at the end of each word. Amazon’s accent translator would help travelers in exploring the world, as accent won’t be a problem for them anymore. 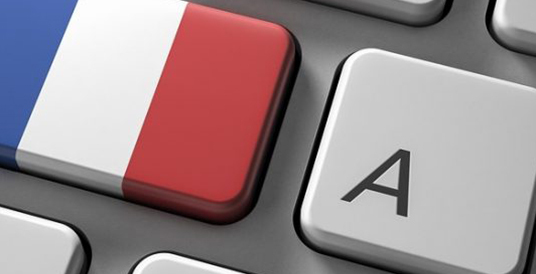 For people who travel in different countries for business, the accent translator would help them communicate with confidence, which might help them in growing their business. So what do you think about the accent translation technology by Amazon? Let us know in the comment section below.